It’s time for to discuss parts 4-6 for our The Book Thief Read Along! 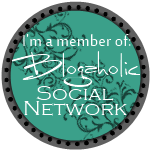 This discussion is being hosted by Kami over at Kami’s Library Thoughts– head on over there and see what others have to say. Max’s father teaches Hans to play the accordion and saves his life. Max gives Liesel a present. Rudy makes some stupid choices. We learn more about Death. A snowman is built in the basement. Liesel leaves Max a series of gifts. 1. What emotions have you felt while reading? Are they strong emotions? 2. Several characters mention similarities between Max and Liesel. What similarities have you noticed, and why do you think the author made these characters relate to each other? I think they start out at the Huberman’s with absolutely nothing or no one. 3. What do you think of The Standover Man aka the book Max wrote for Liesel. I loved it. I think it really shows Max’s character and story-how he was forced to hide for so long, and how he was so surprised to have found a friend in Liesel. I love the last page of it, where the words are painted on the wall. His word is Daylight. 4. How do you feel about knowing who is going to die in the end and what are some of your predictions? Knowing that certain main characters die, at least you are not shocked when it happens. I sort of like the way death is unapologetic, like, hey that’s life! No predictions since this is a reread for me. 5. What do you think of Rudy’s rebellious attitude? His anger and rebellion is wonderful. It shows that not all Germans followed the Party like lambs. 6. Is Rosa growing on you? Totally-I think Rosa is a wonderful person beneath her rough exterior-she did have Hans fall in love with her after all. I love the way she took Max in without question. 7. What do you think of the relationship between Max and Liesel? She treats him so tenderly. She is so protective of him. 8. 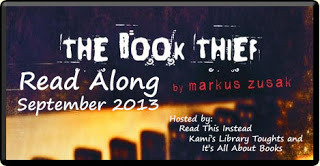 Why do you think Liesel is so determined to steal from the Mayor’s library? Because she wants to rebel- like Rudy- and not simply follow along. Plus, she just really wants to read! 9. What really stands out to you in the story and why? 1- What and amazing person Hans is. 1. The desperate Jews-their spirits in my lap as we sat on the roof, next to the steaming chimneys. 2. The Russian soldiers-taking only small amounts of ammunition, relying on the fallen for the rest. 10. If you were in Hans’ position, would you have helped/hid Max? Yes. Though I can only hope to be a tenth as good of a person Hans was-yes. Death’s diary really stuck out to me too! Great answers! Thanks- these questions were really awesome! I agree with you about how knowing who’s going to die helps to lessen the shock. In such an emotional book, I think it’s nice to be forewarned! I love Death’s unapologetic way of delivering the story as well, yet we feel that he cares for the souls he has to take. Great thoughts you shared! DREAD. I totally agree, though I hadn’t thought of it that way before. That’s exactly what I’m feeling. I just know something terrible is going to happen and I like the characters all too much to find out what it is.